HELP US: The RSPCA is urgently looking for horse foster carers. HORSES in appalling condition have recently been seized by RSPCA Inspectors and sadly, more are expected next week. "We understand only too well about drought conditions but hay, although expensive, is available and it's an owner's responsibility to make certain their animals are fed,” RSPCA Chief Inspector Daniel Young said. Eight horses are now at RSPCA Queensland's Wacol shelter and another eight are expected in the next week. "Some areas, particularly around the Gold Coast, still have ample feed, but the RSPCA also organises feed for all foster carers. "We simply don't have the space to keep them on-site once they are ready to be re-homed. 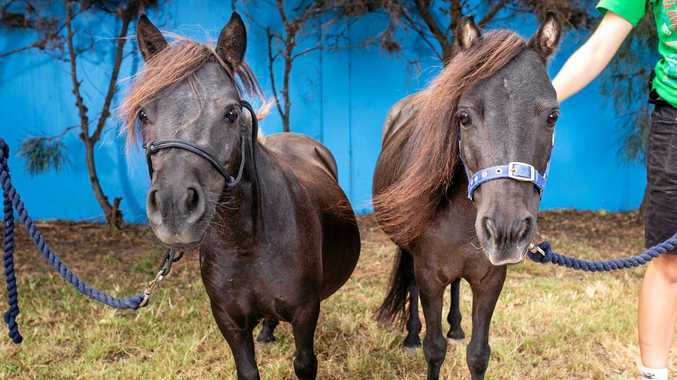 "We also have two beautiful miniature horses that are looking for a home. Please email fostering@rspcaqld.org.au for more information on fostering horses and an application form.